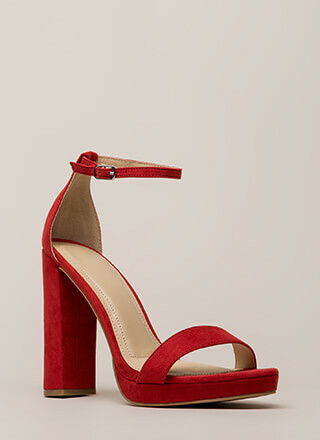 Here's the skinny: Ankle strap heels are never going outta style. 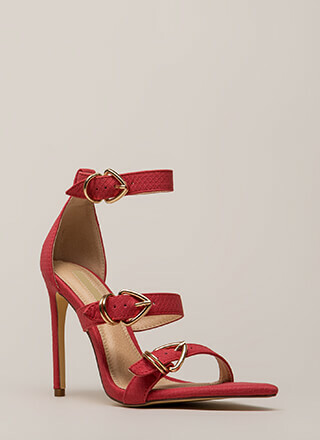 Open-toe vegan leather heels feature a scooped toe strap and a super skinny ankle strap with an adjustable buckle. Shoes are finished with exposed sides, a stiletto heel, and a ridged sole.